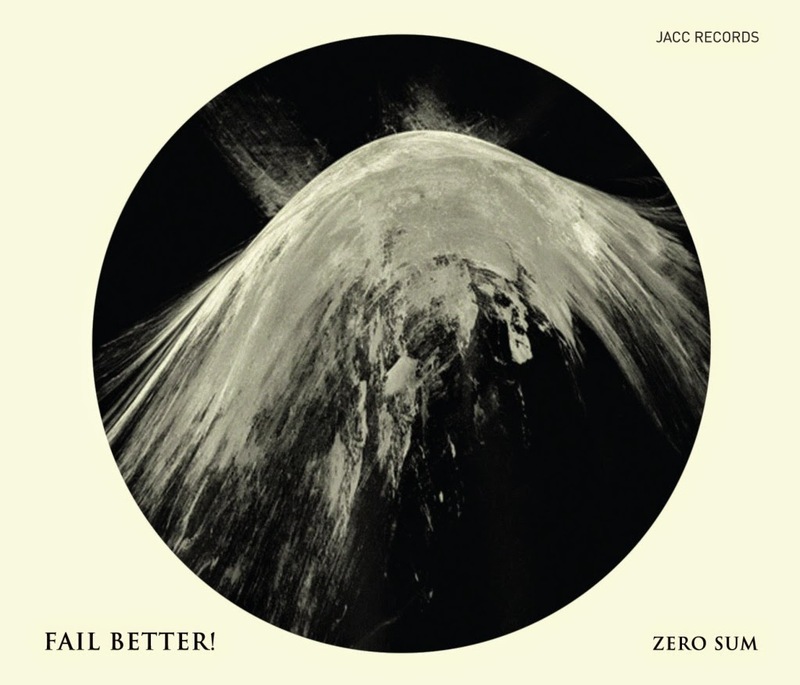 In the category of unknown-musicians-or-bands-that-you-really-should-spend-some-time-listening-to, we can recommend "Fail Better", yes, another band from Portugal, with Luis Vicente on trumpet, João Guimarães on alto sax, Marcelo dos Reis on electric guitar, José Miguel Pereira on bass, and João Pais Filipe on drums. This is actually the third concert out of five that the band gave in February 2013 in Coimbra, Portugal, and the music is completely improvised. The band's overall sound is absolutely exquisite, the result of a very careful approach to interaction, with a very low density and slow interaction, creating an atmosphere of doom and beauty, and "Bright Red", the opening track, is by itself already worth purchasing the album. It's hard to pigeon-hole the sound, because it is jazz, but then with a sense of carefully built-up effects and hypnotic slow rhythms that resuscitate memories of early psychedelic rock music, with a steady pulse like a calm heart-beat, creating a huge space for the individual musicians to add their voice to the developing enveloping sound, and none of them are there to impress, all of them carefully, cautiously contribute to the sound, without pyrotechnics, without force, without aggression, just slowly, gradually, emphatically, empathetically growing their sound, over the repetitive, relentless rhythm section, full of control full of restraint, full of power and intensity. The concept is not new, but the delivery and the sound are phenomenal. So fresh and captivating, a great revelation. One of the greats from this year. A pure delicious. This is lovely stuff. As you write, the sound of the band is exquisite, with so much space in it. Beautiful.